Emma's an old hand at time travel: the first time she was pulled backwards she was ten years old. She can sense the memories that stone, fabric and wood have soaked up: usually she just sees them, but sometimes she ends up living them. She knows the drill: (1) avoid getting pulled backwards in the first place; (2) avoid the object that's pulled you backwards; (3) prevent the memory that imprints on the object, or, if all that fails, (4) wait it out until you're back in the right time. Vallebrion is one of the old places -- a forest where the old and new worlds lie side by side. Clara has grown up walking its shadowed paths and green glens, and one day the man she takes as husband will be Master of Vallebrion and the mysteries that have been forgotten by the temple's Teaching. Then the peace of the forest is shattered by the arrival of two men. One is a southern lord intent on winning Clara's hand, and the other is his prisoner: a man marked as an outlaw and outsider, tortured and near death. One of these men could be the ruin of Vallebrion and the secrets it protects, while the other may hold the key to help Clara save the forest. Being the daughter of a famous journalist and the step daughter of an historian can have its advantages : famous family friends or even contacts, a very well working brain and a perfect report in school, a whole set of informations at home. But it also means no family time and business trip for her parents as well as a lot of expectations from her teachers and parents. Andromeda Johnson has gone through this her entire life and is pretty much used to it all. But what if her life was to change completely due to a simple history project? What is she could reveal and solve one of the oldest mystery ever ? What if she could travel back in time and change it all? Two centuries. Two broken people. One wish. A teen celebrity caught in a scandal, sick of the spotlight, battling severe anxiety. A young, lonely king. Surrounded by enemies, unable to trust anyone. After a car crash, Natalie Reeds is thrown back in time to the 17th century where she wakes up as a princess and discovers that she is betrothed to a dashing but cold king. She tells herself that she has to return home, but the more she gets to know her husband to be, the more hesitant she becomes. There's a glimpse of something wonderful beneath her husband's frozen, hard shell and she's determined to crack it open. until he meets a peculiar girl. She's nothing like the girls he has met before. She's all the things a 'proper lady' should not be, but he finds her incredibly alluring and irresistible. Emma Scott has found love with World War I veteran Charlie Lawrence. She's found her Great Grandmother, Emer, and learned they share the strange gift of time travel. Emma, Charlie and Emer travel to Ireland to try to uncover the truth of why magic flows in their bloodline. But Dublin in 1922 is a city on the brink of civil war, and Emma finds herself in unexpected--and desperate--danger. When a tragedy separates Emma and Charlie, will they be able to find their way back to each other? Blue Doe is an independent, modern day women. She doesn't take no for an answer and gives the world the middle finger whenever it gets in her way. So, what happens when this self-made woman is thrown through time to a period where men hold all the cards and she has no say? Well, Blue Doe is in no mood to be placated nor domesticated. Join her as she fights against the norms and judgments of 18th century English society while trying to find her way home. Lily was a normal high school girl until she took a trip in time and ended up in a world that could only exist in her history books. Now she needs to decide whether she wants to return home or stay. Sophia Romano had everything it seems, except a car. But all of this will change as her perfect little world seems to turn up side down when her family moves to England and she uncovers a secret book that can take her back to 1890's. It is there where she falls in love with a young man and meets a great friend. 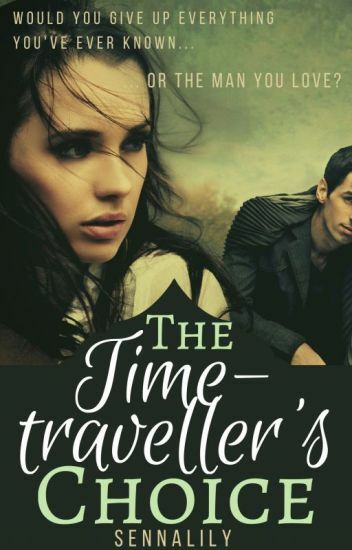 She soon discovers that time travel isn't all fun and games she finds trouble that can alter time as we know it. She's finally met the man of her dreams-too bad he lives in a different century! A devoted history buff finds the re-enactment of a pre-Victorian ball in London a bit boring...until a mysterious artifact sweeps her back in time to the real event, and into the arms of a compelling British lord. Isabelle Rochon can't believe it when she finds herself in the reality of 1830's London high society. She's thrilled to witness events and people she's studied. But she may also have to survive without modern tools or career-unless she can find a way to return to her time. And then there's Viscount Lord Montagu, a man whose embrace curls her toes, but who has a dangerous agenda of his own. Lord Phineas Montagu is on a mission to avenge his sister, and he'll stop at nothing, including convincing an alluring stranger to pose as his respectable fiancé. He's happy to repay her by helping her search for her stolen calling card case that brought her back in time. But he doesn't bargain for the lady being his intellectual match-or for the irresistible attraction that flames between them. They're both certain they know what they want, but as passion flares, Phineas must keep both himself and Isabella safe from unseen opponents, and she must choose when and where her heart belongs. Can they ever be together for good? Don't miss the time travel romance USA Today called "a delicious twist on historical drama and romance." "Love me or leave me." Clementine Wright was your typical 21st-century brainy teenager who was born with a silver spoon in her mouth. Until one crazy day, everything changed. She was dressed in a plainly made gown of percale and a large white apron and eats cold tasteless porridge as her dinner. That was when she realized that she just time-traveled to the Victorian era and not only that, she was nothing but a mere housemaid. But how could the 21st-century rich girl like Clementine survive the roller-coaster life in the victorian era with zero knowledge on how to fulfill her mission and on how to properly attend her job as a maid? Everything got more complicated when the dashing heir of the family she works for and his friend soldier cannot take their eyes off her.